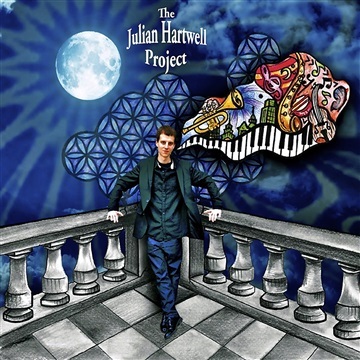 The Julian Hartwell Project is a revolving and constantly evolving sextet/quintet/quartet contemporary jazz group. Drawing from a wide array of influence, elements of RnB, funk, rock, soul, and hip hop find their way into the mix to produce the project’s distinctive sound, centered in large part on the prolific original repertoire of composer/arranger Julian Hartwell. Perhaps best described as “nouveau jazz,” this ensemble of up-and-coming players offers an intellectually satisfying yet distinctly upbeat and soulful brand of modern jazz, leaving plenty of room for improvisation and group interaction on the bandstand. With a knack for composition, melody, and groove, the emerging group known shorthand as “The JHP” offers an engaging take on the art form that appeals to both the traditionalist and novice listener alike.